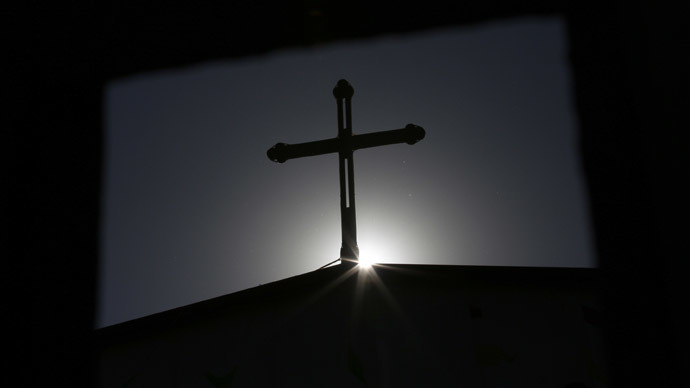 Authorities in China’s eastern province of Zhejiang have drawn up proposals to ban putting crosses atop Protestant and Catholic churches, drawing worries from the Christian community. Since the beginning of 2014, zealous communist officials in Zhejiang have been forcibly taking down crosses from more than 400 churches, in some cases causing violent clashes with members of congregations, AP reports. They have said the crosses breach building regulations, but critics say the rapid rise in Christians in China has rattled the ruling Communist Party. "The authorities have attached great importance to this religious symbol. This means no more prominent manifestation of Christianity in the public sphere," Zheng Leguo, a pastor from the Zhejiang province who now lives in the United States, told AP. Zheng referred to the latest crackdown as “a restriction on the public space for Christianity.” Its primary target is symbols rather than the belief itself, and it’s milder than previous crackdowns. The authorities have backed down from a complete ban, and a draft of the new rules released by the government this week shows that crosses must be no larger than 10 percent of a facade’s height, must fit in with their architectural surroundings and be completely fixed on to a buildings’ walls rather than poking up on the roof top. Fang Shenglan, an engineer at Zhejiang Provincial Institute of Architectural Design and Research who was involved with writing up the new rules, confirmed to AP that rooftop crosses would no longer be allowed but did not explain why. Since the 1980s, when Beijing loosened its control over religion, Christianity has been growing rapidly. But last August Christian pastors and religious scholars were called to Beijing and told that the Christian faith must “adapt to China” and be free of foreign influence, a subtle way of saying they must obey the Communist Party. Conservative official figures put the number of Christians in China at 23 million but independent scholars say the figure is as high as 100 million; this would mean that there are more Christians than members of the Communist Party, who number 85 million. The city of Wenzhou in the southeast of Zhejiang province is sometimes dubbed the “Jerusalem of China” because it houses about 2,000 of the province’s 4,000 churches. In April last year, authorities knocked down a highly visible church, which was under construction atop a hill off a major highway in the city. Often churches are funded by well-off business people who want to show off and make an ostentatious public display of their blessings.